TheRustedChain - The Blog: TV crews and Love Birds. TV crews and Love Birds. Late last week I was winding down, done with work (not actually done but ready to call it quits) and ready to move on with my weekend. I was in my pj's, lounge clothes, yoga pants, "work attire" as it's known around here. (we're a fancy sort of stylish people...) And then the phone rang. It was a TV reporter who wanted to do a story on me/us/TheRustedChain jewelry. He'd be here in an hour. Had I been showered, or had on a bra, or done dishes that day or ANYTHING for that matter, an hour would've been enough time. But the shape I, my house, my jewelry studio, were in? I needed at least 2 hours. So I scrambled. Like mad. Dust flying. Dishes flying. Blonde hair flying. Papers flying. Tears flying. Oh I was some kinda hot mess. And then 45 minutes later, 15 minutes before he should arrive, he called again saying there was late breaking news and he had to go cover that story instead. *whew*!!! I've never been so relieved! And that? The fact that I was so relieved? ticked me off! I was so angry at myself! I should be more ready when opportunity knocks, right? Right. So as I sit here, telling you this important life lesson I learned, I'm in my pj's, lounge clothes, yoga pants, "work attire" as it's known around here. Despite being about the most non-stylish jewelry crew in the US of A, we do make some darn cute designs... And this is the newest one. 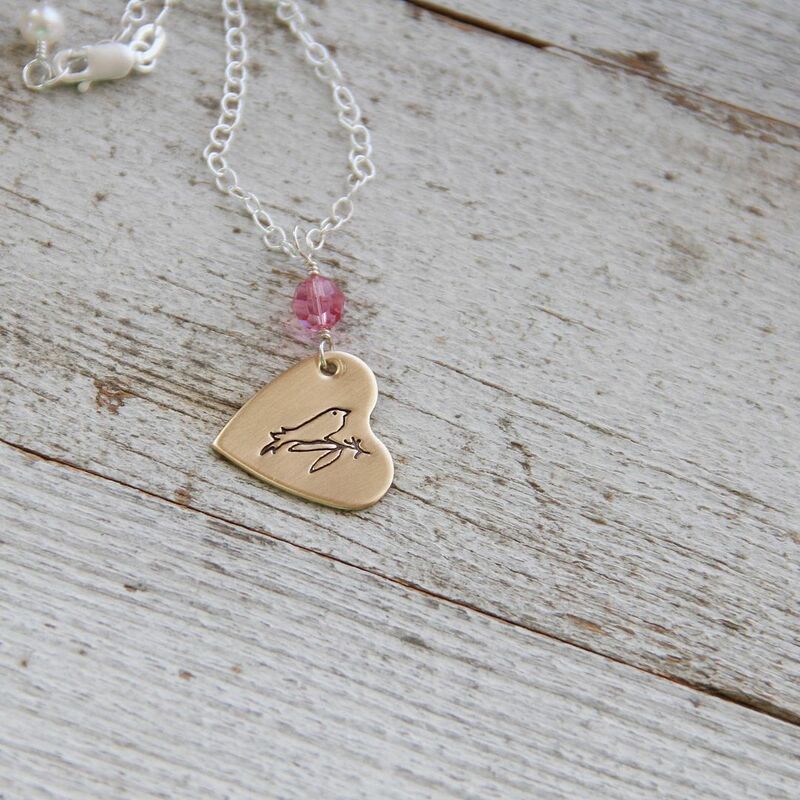 Love Bird necklace Our sweet little bird that I sketched, mixed gold and silver metals, and a sweet pink (or clear) crystal. For the record, we do all clean up pretty well when we have to be seen in public. And if the TV crew had actually shown up, I'd have appeared on tv with nice hair, fresh makeup, and clean clothes. I'm not always ready, but I am always willing for opportunities! Prepared or not, I'm willing to jump into any adventure! I have to laugh Beki..lol..as I have been in that sort of situation many times.. Not a tv crew..but unexpected company or something of that nature... Just when you are all comfy..doorbell, phone....and Bam! I could picture myself running like mad dusting, trying to straighten up...to funny! You are right, beautiful jewelery.. Blessings and I hope you get to lounge around without interuptions. Something similar happned to me this week but not a TV crew. Darn if I would just have said, "Sure come right now." Instead I told them to come the next day and they still haven;t come. Hope the TV crea comes another day. Hey girl! Wanna advertise at Ordinary Inspirations? I read somewhere that being a mom is the only profession where going from pajamas to yoga pants and a tshirt is considered getting dressed up. I so agree with that. I hope the crew comes another day. What a fantastic opportunity!